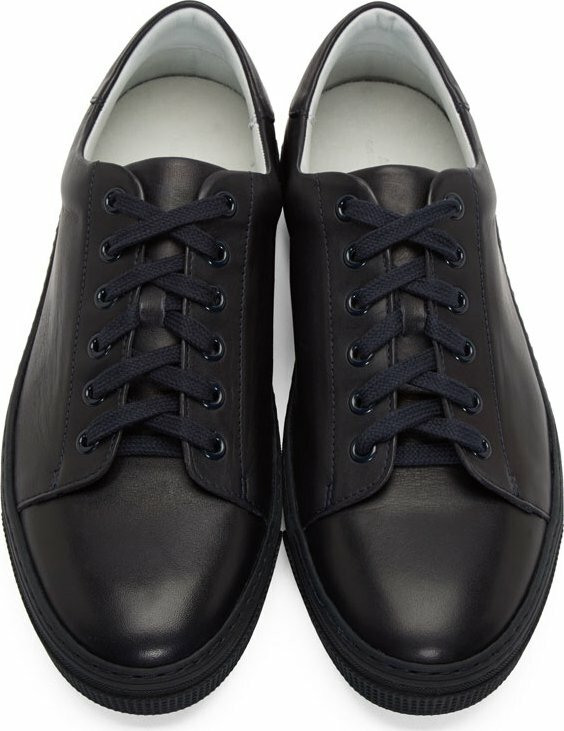 Parisian fashion house A.P.C.’s foray into sneakers continues to be a success, with the clean and simple low-top “Leather Jaden Tennis Sneakers,” available in two monochromatic navy and off-white variations. 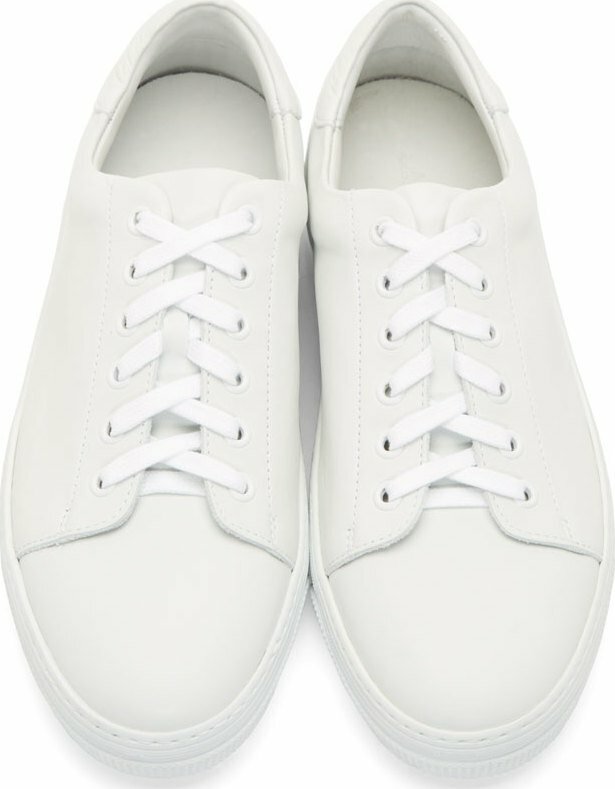 The contemporary menswear label is known for turning out refined minimalist classics, almost always of structural brilliance. Creative Director Jean Touitou creates his collections by placing greater focus on magnificent fit as apposed to baroque frills and garish designs. 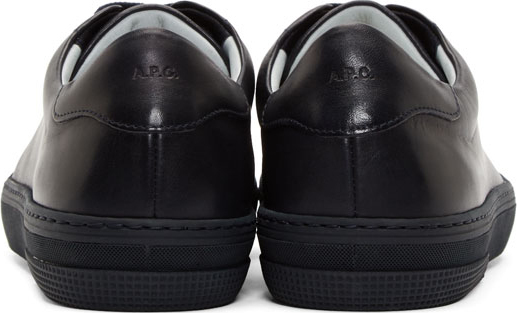 Both pairs of A.P.C. 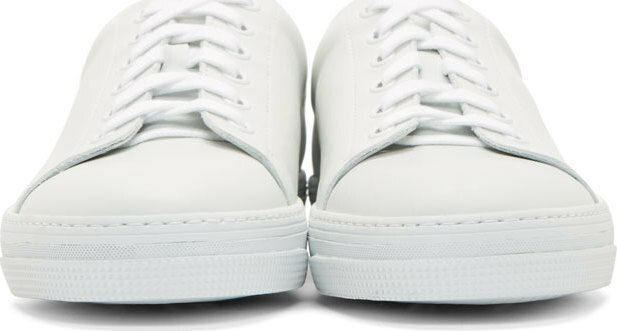 Leather Jaden Tennis Shoes are constructed in Portugal from premium buffed leather uppers and tonal rubber midsoles, featuring embossed logos at the heel collar. 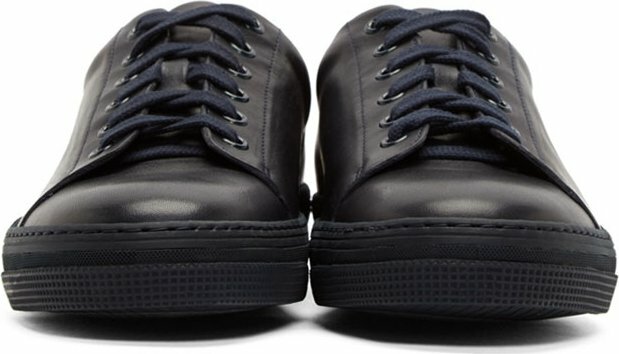 Priced each at $405 USD, they are available for online purchase via SSENSE.